FDNY rescue boats rush to Pier 40 after reports of an overturned boat. 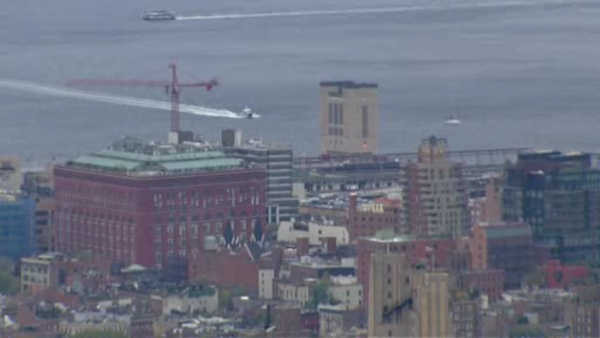 LOWER MANHATTAN (WABC) -- Three people were rescued after a sailboat overturned in Lower Manhattan on Saturday. The FDNY says that FDNY Marine 1 responded to the overturned boat near Pier 40 just before 5 p.m. The three people who were on board the boat were not injured, and refused medical attention.